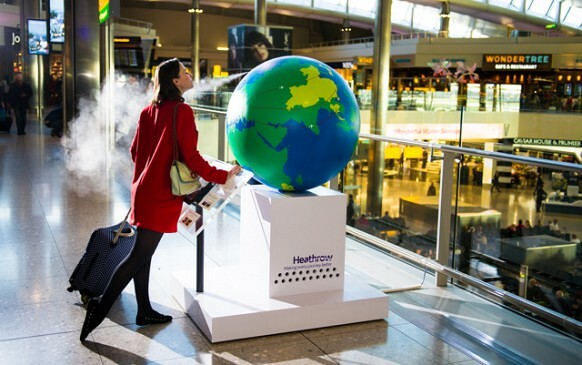 Heathrow’s new Terminal 2 celebrates full operational capacity with a giant one-of-a-kind ‘scent globe’. The airport sees over 11 million people a year on over 50,476 flights travel to and from these countries, taking in 69 destinations between them. The five countries chosen are not only popular with British travellers but also offer the most exciting smells, explained a statement from the airport. To capture the aromas of each location, Heathrow worked with Design in Scent to produce bespoke smells from key ingredients associated with each country. The diverse fragrances aim to deliver an aromatic experience that immediately transports passengers to far-flung destinations. A German couple have been arrested after being caught with hundreds of poisonous tarantulas and other insects in their luggage at Schiphol airport in Amsterdam. Customs officials found 200 live tarantulas and an assortment of other insects including bugs, crickets, grasshoppers and millipedes. The animals were collected by the German couple on a recent trip to Peru and were put in plastic containers and tubes hidden in their clothing and shoes. The arachnids and insects have been handed over to Dutch animal welfare authorities for further investigation. Airport authorities often intercept people trying to smuggle animals, particularly seahorses, into the Netherlands, but rarely in such large numbers. A criminal case has been opened against the German couple.